And the discussion has to start here with this post and more specifically this reader comment. It took a few months plus a year’s worth of gumshoe journalism to snag an unredacted example of the document I posted way back in April 2011 that unequivocally demonstrated Broussard’s intimate involvement with business ventures partially owned and managed by Charles Leary, Vaughn Perret and Danny Abel. All three of those guys are currently involved in litigation with me over my documenting their close connection Broussard and what federal prosecutors would later term evidence of other crimes in the Broussard prosecution. Back to that reader comment I linked above, it is the first of several made by V on that post that are topical to this day. I personally hope Broussard gets his prison reprieve so he too can share the joy of the recap along with the rest of us. SCOTIA POINT, LLC – Abel etc. Trident Holdings of Nova Scotia? I can report it is owned by politically connected Canadians but where else does it show up? A company from a foreign country with very limited inland port experience all cuddled up with Nunny? I wonder what has happened with Trident and Plaquemines Parish since Perlstein filed that story back in late September 2011? V aka Telemachus was one of the Slabbed commenters deprived of due process by Charles Leary of Trout Point Lodge in Canada when he swore false affidavits before Nova Scotia Supreme Court Justice Leon “Pierre” Muise in late April 2011 in their SLAPP suit against Louisiana Media Company aka Fox 8. Last night after the 6pm WWL TeeVee newscast I started getting emails from segments of the local legal community that know the walking lawsuits that are Attorney Danny Abel and his “son” Shane Gates. Now I’ll grant it is not unusual for a practicing lawyer to be associated with lawsuits but Abel practices a curious version of the law indeed and wore many hats, from being Nipun Desai’s staff attorney at the Super 8 Motel to Aaron Broussard’s law partner at the Super 8 Motel on Clearview. Gates, along with Abel business associates Charles Leary and Vaughn Perret often served as Abel’s in-house plaintiffs for his lawsuits but before I get to all that we need more background for you newbies reading this. Here on Slabbed we know this social/political network as the Goatherders and it was formerly lead by new Dragon Queen Aaron Broussard and the network includes media members like WWL TeeVee morning man Eric Paulsen, who evidently lived with Abel and Gates in Slidell before Katrina. 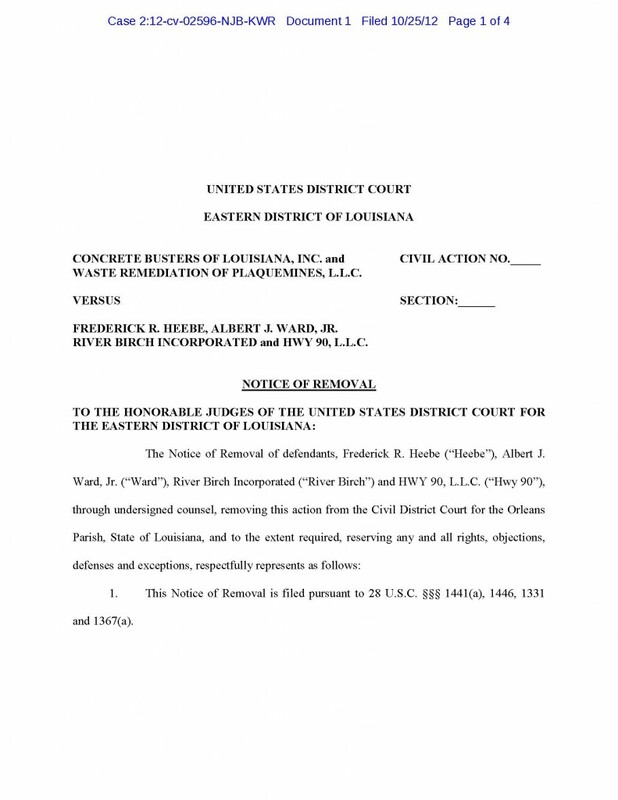 Ironically it was Slabbed coverage of Paulsen’s lawsuit against State Farm that earned Slabbed the first threats of a defamation suit from Broussard and Abel’s business associates in Canada, Charles Leary and Vaughn Perret. Once upon a time Abel and Perret were gay lovers and along with Broussard, Leary and Gates formed life long business associations including advertising what appears to be money laundering /tax evasion services via the Costa Rica Company Cerro Coyote SA, which Aaron Broussard sold shares in to politically connected parish contractors like Carl Eberts dating to the late 1990s. It is through that lens that I and a few area lawyers that know the gang filtered last night’s lawsuit PR pump Gates received from WWL TeeVee as Slabbed will now tell the rest of the story. As Lockemuptight’s sharp eye caught, the fact that Perlstein’s report omitted the reason Gates was stopped by St Tammany Parish Sheriff’s deputies was evident and thus Perlstein’s story is incomplete. Gates’ lawyer, Magnum J.D.’s partner James Williams, points to the not guilty verdict and the fact Gates closed on his new GTO 20 minutes at a local car dealership before being stopped as proof Gates was not drunk. I say those two facts prove nothing and here is why. The BAC tests were lost and thus could not be presented into evidence. If I were on Gates criminal trial jury I too would have voted to acquit him in record time on charges related to drunk driving without the BAC evidence. Simply put no BAC test, no case unless there was video, which in this case there is not. That said the blood test were drawn at the Heart Hospital by an RN unaffiliated with the tussle. The test was lost leaving only the results for the Louisiana Court of Appeals to mention as a case fact in a decision that benefitted Gates. The Heart Hospital was also sued by Gate’s in this matter. 2.7BAC is very high and it would not take much liquor for a 145 pound guy like Gates to get there. I NEVER PASS THROUGH NEW ORLEANS without seeing two of my favorite people: Danny Abel and Shane Gates. They are large-hearted men, generous and true, and both possess a drinking companion’s most desirable trait: They stay until closing time. I met them nearly a decade ago, when profiling Danny’s then law-partner, the late Wendell “The Goat” Gauthier, a legend of the trial bar who sued anything that moved, and probably many things that didn’t. Folks in my zeal to tell the story of Aaron Broussard and the Goatherders I left out a few details, connections and observations that I think everyone should consider closely. So lets make some connections, one before Broussard took a plea deal and one after he took that plea deal. In that piece Brother Doug posted the letter written by Carl Eberts aka Brother Carl to Aaron Broussard aka Brother Aaron that Brother Doug obtained via public records request with Jefferson Parish. It conclusively proves that Aaron Broussard sold shares in Cerro Coyote a Costa Rican based business run by Broussard strawmen Danny Abel, Charles Leary and Vaughn Perret. I’m going to admit I’m having some trouble following the allegations from afar…. but Mamo had at least one prior fling of a scandal involving HUD. It looks like this is all the work of James Gill when he was on staff, as opposed to jthe op-ed guy we all know now. His experience in JP goes way back. Jacob Karno is a guy I posted on elsewhere here a while back, the Karno name goes back in the New Orleans mafia and the current Judge Rebecca Olivier is/was (nee) a Karno. By now everyone knows the score with this group. 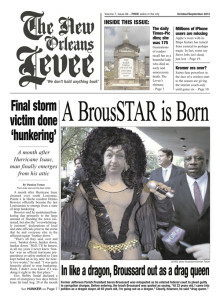 Local media outlets reported on Broussard’s use of his property at the Trout Point Development as a conduit to accept graft, a topic that federal prosecutors recently unveiled in a court filing in the Broussard payroll fraud case. Broussard’s business agents in Nova Scotia then filed SLAPP suits against those media outlets in Nova Scotia via a practice known as libel tourism, first against the Times Picayune , then against Fox 8 and last against me. They claim the media reported that Aaron Broussard owned Trout Point Lodge, a claim that has never been asserted on Slabbed because it was besides the point. Multiple sources indicated to Slabbed early on that Broussard peddled all those business ventures “owned” by Danny Abel, Charles Leary and Vaughn Perret to selected members of the public and that he had a financial interest in doing so. What the media needed was documentary evidence of that activity and to date outside of a redacted ownership agreement in Cerro Coyote posted to Slabbed nothing has surfaced except in the court case record of the SLAPP suit against Fox 8 filed by Leary and Perret in Canada. 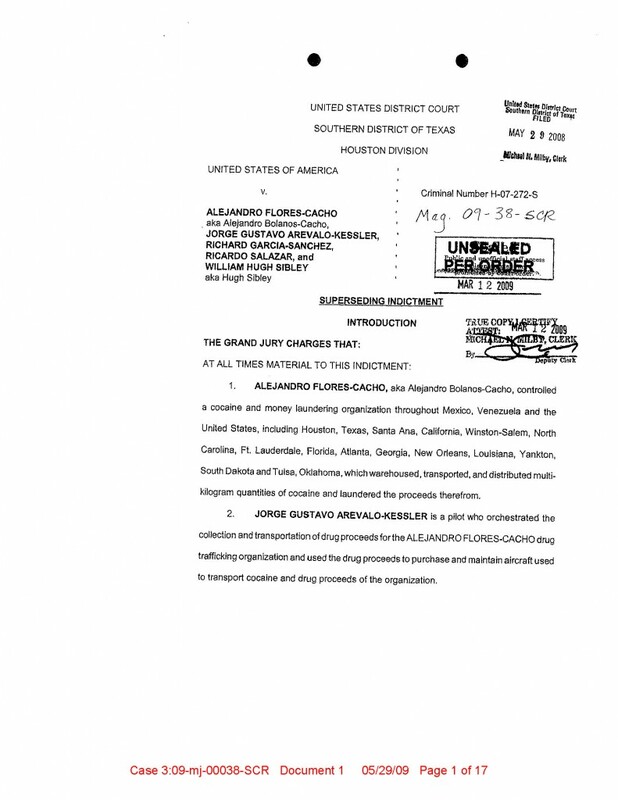 Those documents clearly indicated that despite Charles Leary’s public statements to the contrary, he, his wife Vaughn Perret and their sugar daddy Danny Abel were intimately involved with Broussard, as his property managers and business agents with respect to the property he owned in Canada. I seem to be recovering from my cancer treatments quite well and am sure with God’s Help will be back to normal in the near future. Thanks to the many prayers and especially for yours. Betty and I are planning a trip to Copenhagen and Russia this month to unwind. It seems that your Campaign is going extremely well considering the underlying problems that could pop up. Eight years ago I purchased 2 1/2% of Cerro Coyote in Costa Rica for $10,000.00. As you probably know I have not had any benefits from this investment. It would be appreciated if you could find a buyer to take me out at cost or more. I am sure a younger and more energetic individual would enjoy such a wonderful place. Please let me know. Vital background to set up part 2 can be found here and here. It appears some of the investors caught wind the Inn was to be sold. Stay tuned.